This past Christmas, eight children chose gifts from the Samaritan’s Purse Gift Catalog to give to children in need. It was such a success that it’s becoming a family tradition. Cliff and his wife, Joan, are Samaritan’s Purse supporters. This past Christmas, they decided to involve their grandchildren. We had a family reunion in December at a mountain retreat in the Colorado Rockies and wanted to make it a really special time that all would remember. My wife and I have five children and nine grandchildren. The youngest is only a few weeks old, while the other grandchildren range from 7 to 14. One day, a Samaritan’s Purse catalog came in the mail. It offered gifts of basic necessity to children and families in developing countries. When I was in my 30s, I sponsored a child in the Philippines. One year, I sent her family $10 for Christmas. The family used the money to install an electric light in their home. It stunned me that people did not have electricity and that only a $10 gift could change their lives. I had given them the power to extend their days with a small and (to me) insignificant gift. One of Cliff’s grandchildren gave money toward building a school. 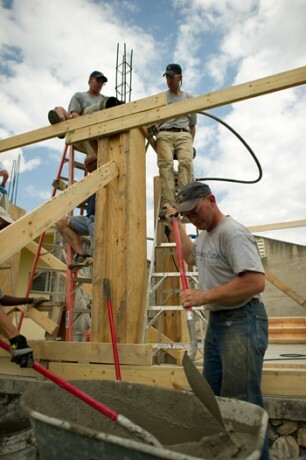 The funds will go to projects like this one, an orphanage and academy we built in Haiti. We had the answer to make our family reunion special—our grandchildren could have that same experience that I had. None of us has ever really lacked anything of necessity. Even the concept of truly needing something basic was not something any of us understood. This would be unforgettable to our grandchildren, our children, and us. 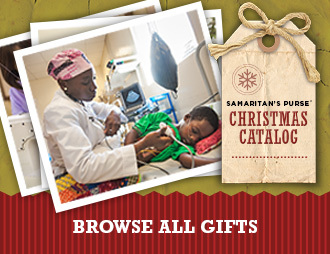 I sent an email to Samaritan’s Purse and asked for eight catalogs. I received them a few days later. We handed them to the grandchildren at the reunion, gave them a fixed amount to spend in the catalog, and watched. It was fascinating to listen to them go through the catalog and discover what they could do for other children—stock a fish pond, provide a goat, help a child with a physical defect. Most of the things they had never thought about before. It made the remote world of children in need so real to each of them. Two of the boys like to fish, and they both chose to stock a fishpond, knowing that people would eat what they caught and perhaps be able to sell some of their catch to others. One of the girls put her money toward building a school. Another contributed toward a cow, while yet another gave toward surgery to correct a cleft lip. Others gave ducks, chickens, and a few goats, plus freshwater wells. Each of them was thrilled to make a difference to others. They could see the need for very basic things that they had never even really known about. Another grandchild gave money toward building freshwater wells. We use rigs like this one in South Sudan to build wells for people who have little to no access to clean water. 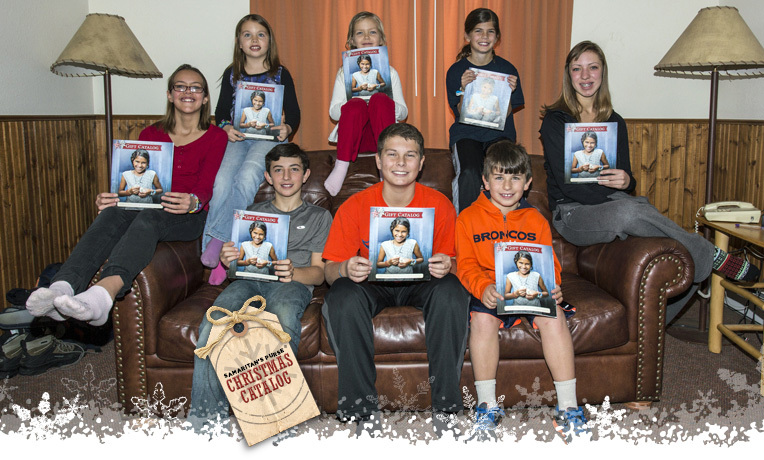 After we mailed in the gifts, each of the grandchildren received a wonderful thank you note from Samaritan’s Purse. That was a new experience for each of them as well! We have reserved the same cabin in the Colorado mountains for next December. We will ask for another eight catalogs and repeat the experience. Starting a family tradition of blessing others and changing lives will leave a lasting legacy. We are grateful to Samaritan’s Purse for providing us the means to do this and to help direct our grandchildren’s focus to others.